Daewoong Pharmaceutical’s botulinum toxin treatment Nabota will enter the final phase of clinical trials in China in the second half of this year, the firm said Wednesday. 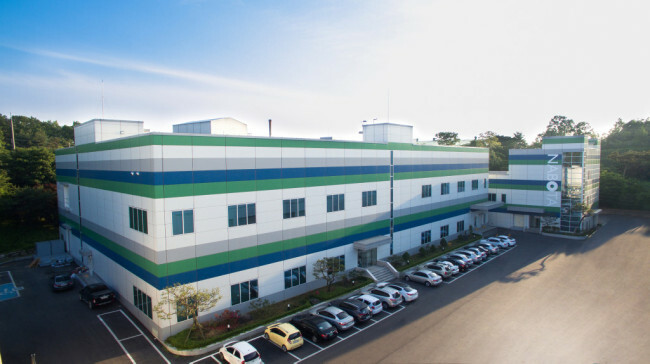 Daewoong said it gained China Food and Drug Administration’s approval for changing the Nabota manufacturing site for phase 3 clinical trials from the firms’s “first factory” to the “second factory,” both of which are located in Hyangnam, Gyeonggi Province. The approval, granted March 6, signals Daewoong’s kicking spur in to Nabota’s China entry, the company explained. The second factory has capacity to produce 4.5 million vials of Nabota per year, nine times the volume compared with the previous factory, promising a stable product supply. Daewoong’s Nabota, or Jeuveau outside of Korea, is a wrinkle-removing botulinum toxin treatment that has gained US’ Food and Drug Administration’s commercialization approval in the beginning of January. Nabota is the first Korea-made BTX to enter the US market. Nabota is a strong competitor against original blockbuster Botox by Irish pharma company Allergan, as it shares an identical protein strain which means doctors familiar with Botox can also use the cheaper alternative Nabota without changing anything about the way they handle the toxin. Nabota was commercialized in Korea in 2014 and has since then towed Daewoong’s annual profits. Daewoong joined the club of pharma firms with 1 trillion won (884.2 million) annual sales in 2018. The company credited the rise in ethical drug sales including that of Nabota, as what boosted the growth. Nabota is anticipating approval result from European Medicines Agency within the first half of 2019.